Enjoy the feel of premium leather for warm afternoons in the hammock with a little flare. 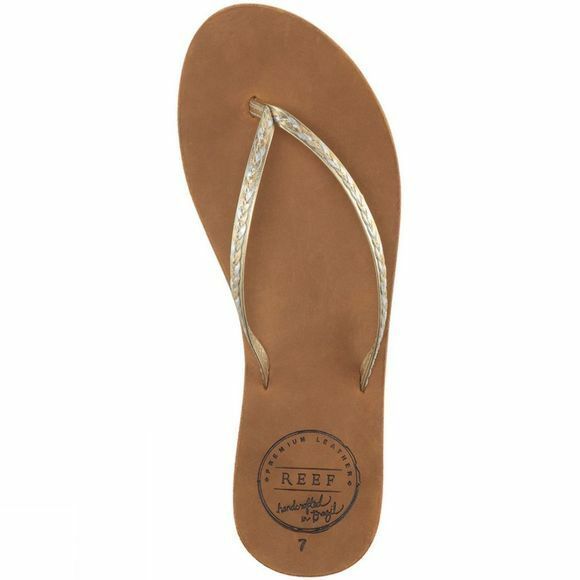 Reef's Womens Leather Uptown Braid sandals feature handmade premium leather from Brazil. These women's sandals offer a full grain metallic multicolour braided leather strap and leather footbed with anatomical arch support and a durable rubber outsole in pop colours.